It all started with a handful of chicks, now Hens for Hire provides schools and care homes with their very own 'piece of the good life'. Thanks to Claire Peach, chickens are becoming welcome additions to classrooms and care homes across the UK. Claire began keeping hens to teach her son where his food came from. Now she owns an award-winning business called Hens for Hire, renting out chickens to preschools, schools and residential care homes. 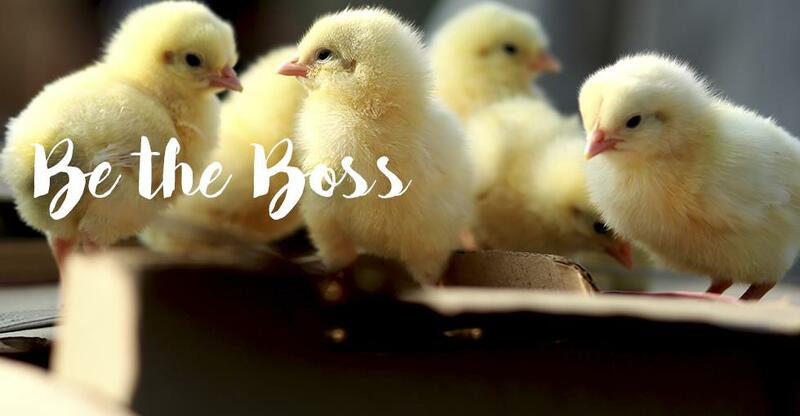 What started with a handful of chicks is now a fully-fledged business with 70 hens in over 30 schools across the UK, from Liverpool to Bournemouth. We spoke to Claire to find out more. Can you tell us a bit about yourself and your background before running your business? Like a lot of working mums, over the years I have had an 'eclectic' list of jobs that fit around family commitments. These have included: call centre team leader for Vodafone, call centre help desk manager for RBS, preschool assistant and helping out at a friend’s woollen mill. What inspired you to start such a unique business ? We started keeping our own hens when our son was a toddler to show him where his food comes from. Over time we added to our flock and started running beginner’s hen-keeping courses, as we really could have done with a bit more knowledge when we started out. I was asked by a PRU (pupil referral unit) at a local school for students who are not able to attend mainstream schools if I could help them get some hens. I helped them get a hen house and enclosure and provided them with six hens. The staff said that I would only have the attention of the children for about 10 minutes. Over an hour later I still had five teenage boys sitting on the grass with hens on their laps. I started thinking that if this is the impact hens have in a PRU school, what would they be like in mainstream schools? And how can I make it as easy as possible for the staff to look after their hens? Hens for Hire was born. My children's school was a fantastic guinea pig school and let me try the service out to see what worked and what didn't. It might sound a bit cheesy but I don't really have typical days. The welfare of my hens is paramount, so if I get a call from a school to say that things aren’t right, I will normally be on the road to go and sort things out. Other days I can be setting up an incubator with hatching eggs or collecting hens for their school holidays. I am really lucky that my business allows me to be flexible around my family commitments, do the school run, sports days and plays. As it’s my own business I can also be found most evenings typing away on my laptop. How does your work vary depending on the season? The starts and ends of each school term are always busy times, whether it’s dropping off or collecting hens. The spring and summer terms are always busy as a lot of schools like to start their hen hire off in the nice weather. It’s also incubator and hatching egg season, so Hens HQ is always full of fluffy chicks. What permits and registrations do you need? As one of the first businesses to offer this service in the country, it was tricky to find out what I neede d to start with. The main one was business insurance, followed by DBS checks, transportation certificates and registration with Animals Health, to name but a few. What challenges have you encountered along the way and how have you overcome them? Copying is the greatest form of flattery (so they say), but when it’s your hard work and passion that’s copied, you don’t feel very flattered. I’ve had a couple of instances where even my website has been copied word for word. Vigilance is the best way to keep on top of plagiarists and copyright theft. What advice would you give to someone thinking about buying a small business? Whether you set up or buy a business, you have to love what you do. Any small business takes over a massive part of your life, so if you’re not passionate about it, there really isn’t any point in doing it.